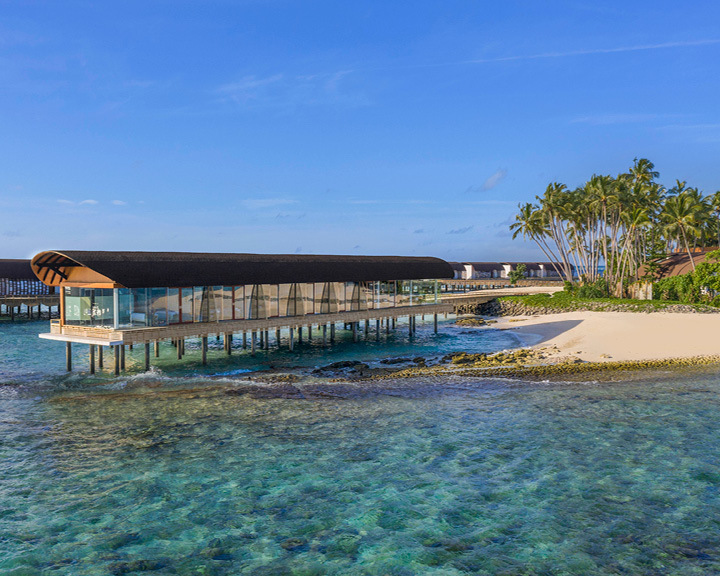 Ever-so-stunning over-water villas, in close proximity to Hanifaru Bay with the largest gathering of manta rays, and a special focus on wellness and rejuvenation—The Westin Maldives Miriandhoo Resort effortlessly stands out from the array of resorts that crowd the Maldivian enclave today. 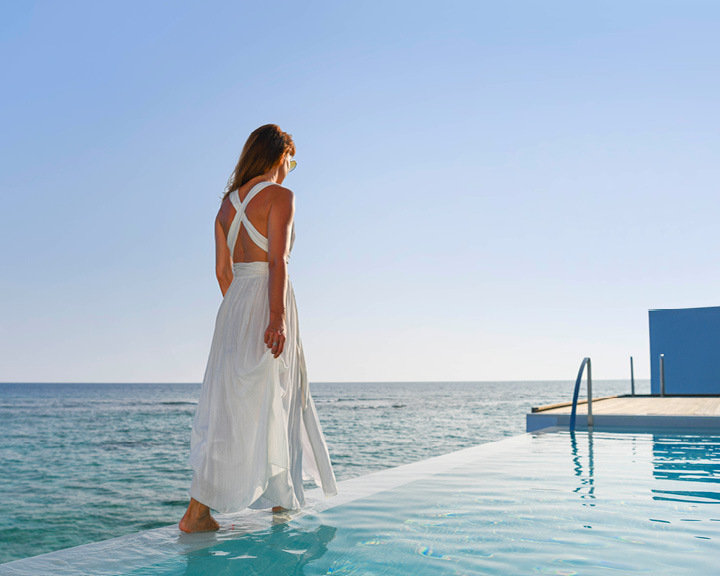 You can find your perfect pick from 70 well-appointed villas and suites—41 on the island and 29 over water—all donned with a marine-inspired décor, opening up to postcard-perfect views of the calm turquoise lagoon, and designed to spoil you silly. 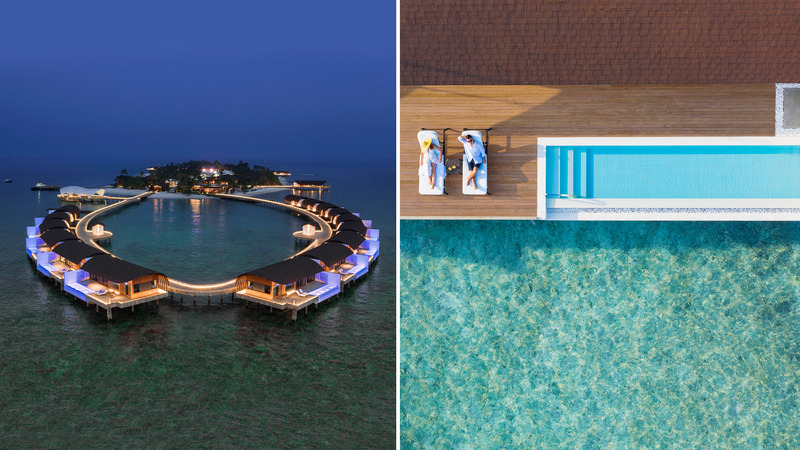 Sitting pretty on the stilts over the sea, the overwater villas (each spread over an area of 200 meters square) are counted among the largest a resort has to offer in the region. When here, choose to dust your feet in the soft sand; laze around in your private pool; snorkel, swim or dive your way into the underwater world amidst colourful corals, lionfish, manta rays and whale sharks. Or simply indulge in personal well-being—The Heavenly Spa by Westin here offers you an otherworldly wellness experience. 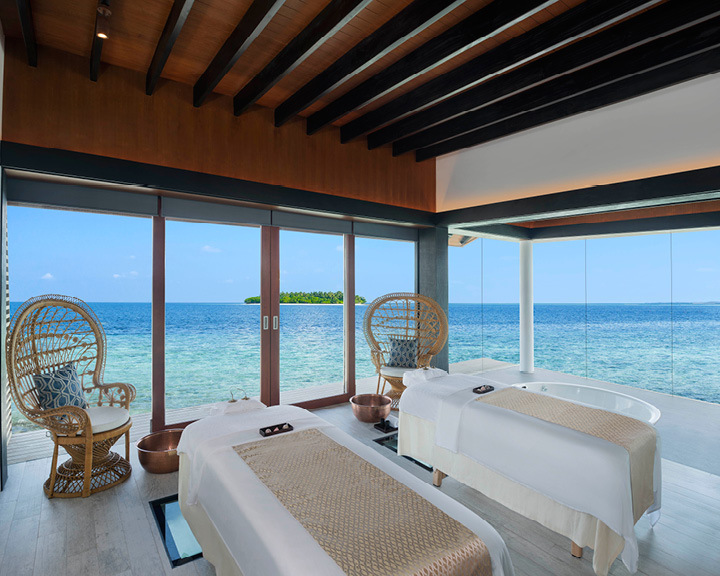 With an intimate and serene setting that features a glass floor bringing in the calm of the marine life to your feet, the spa has a range of wellness and beauty treatments, panoramic ocean views, and a separate treatment suite for two with a Jacuzzi to offer. The WestinWORKOUT® Fitness Studio, on the other hand, is thoughtfully crafted for the ones who would choose an active workout over a relaxing spa treatment any given day. The locale-inspired design and the hospitable service extends to all three of the resort’s F&B outlets. Indulge in the authentic Japanese cuisine at The Pearl, pick from the scrumptious Chinese, Indian and Maldivian spreads at the Island Kitchen that stays true to the brand’s ‘Eat Well’ concept, or feel the casual bustling atmosphere while savouring the Asian street foods at Hawker. Once done, relax at the Sunset Bar that stirs up interesting cocktails for you. 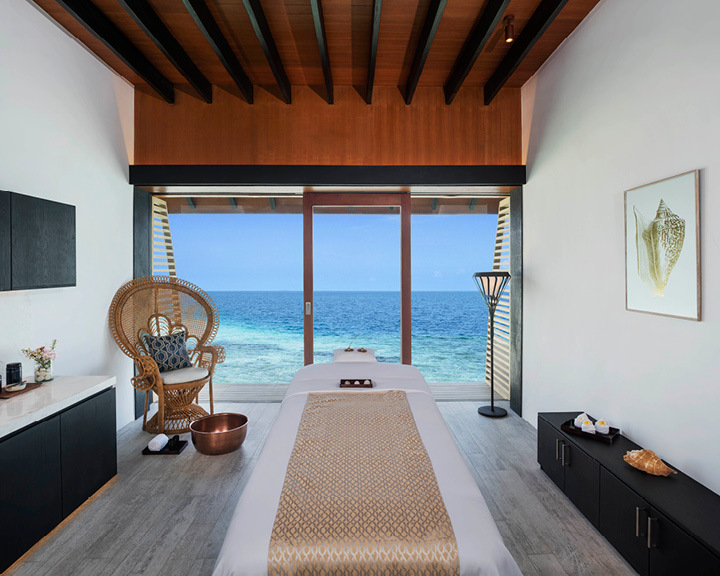 Offering a relaxed holiday, adding dreamy views of the azure ocean to the scene, and throwing in some well-being to the mix, The Westin Maldives Miriandhoo Resort takes you to the wellness staycation that you deserve.